In response to the needs of displaced children around the world, Loyola Press will donate a portion of the proceed from the sales of Dear Pope Francis to the Jesuit Refugee Service. 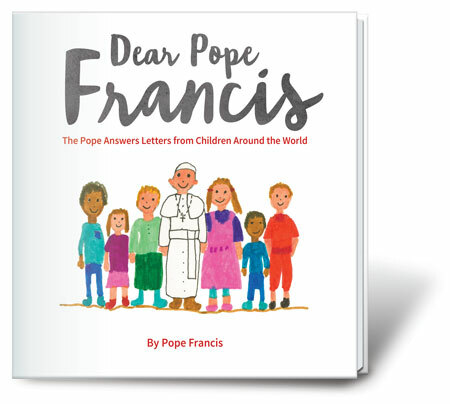 Gathered from more than 250 submissions, 30 letters from children to Pope Francis are answered in a picture book that feels akin to sitting in on a series of intimate conversations. 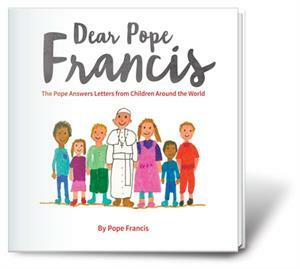 The letters, hand-written and illustrated, are reproduced on left-hand pages, along with English translations and photos of each child; the pope's answers appear opposite. The questions can be theologically intense ("If God loves us so much... why didn't he defeat the devil? "), deeply personal (Ivan, a 13-year-old from China, asks whether his non-Catholic grandfather will go to heaven), or casual and blunt ("You are not very young anymore," begins one from Dutch twins Hannes and Lidewij). The answers are rarely simple, but the pope writes respectfully and honestly, often invoking larger spiritual and social concepts (questions about soccer and dancing get answers involving teamwork and joy). The injustices of the present are often represented, as well: "In today's world there is so much suffering. And, unfortunately, you know that firsthand," Francis writes to a Syrian boy, Mohammed. It's a uniquely candid project that reveals the curiosities, dreams, and insecurities of contemporary children and offers comfort and advice from a Catholic perspective. Ages 6–up.